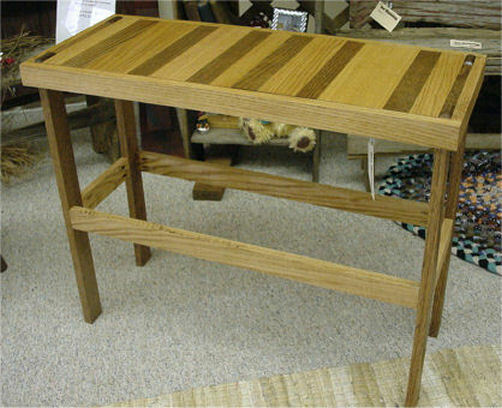 This Solid Oak Table was just something different we wanted to try. Every other board was stained Golden Oak and Special Walnut. It has a unique and beautiful look. It is completely screwed together. Like everything else, we can make it to your dimensions.